Raw radishes are an acquired taste, but this Sauteéd Radishes recipe are sure to be a hit with almost anyone. Sauteing softens the peppery taste, bitterness and tough texture, making them a perfect low calorie (only 18 calories per serving!) side dish or addition to your Hearty Side Salad. When I was younger, the peppery flavor and bitterness of radishes was too strong for me. But as I grew older, I began to enjoy raw radishes with a little salt or shaved over my salad. If, like me, you didn’t like them the last time you tried one, give them another try now. 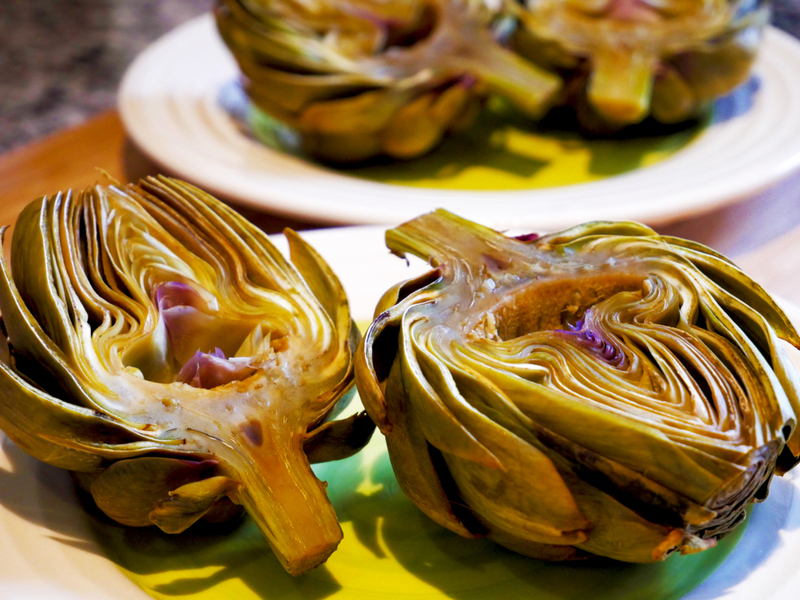 Your tastes are constantly changing and this vegetable is a nutrition powerhouse. Radishes are a cruciferous vegetable like cauliflower and broccoli. They have lots of fiber, carotenoids (beta-carotene, lutein, zeaxanthin); vitamins C, E, and K; folate; and other minerals. There is also evidence to suggest they help prevent and fight several forms of cancer, earning the radish its superfood label. 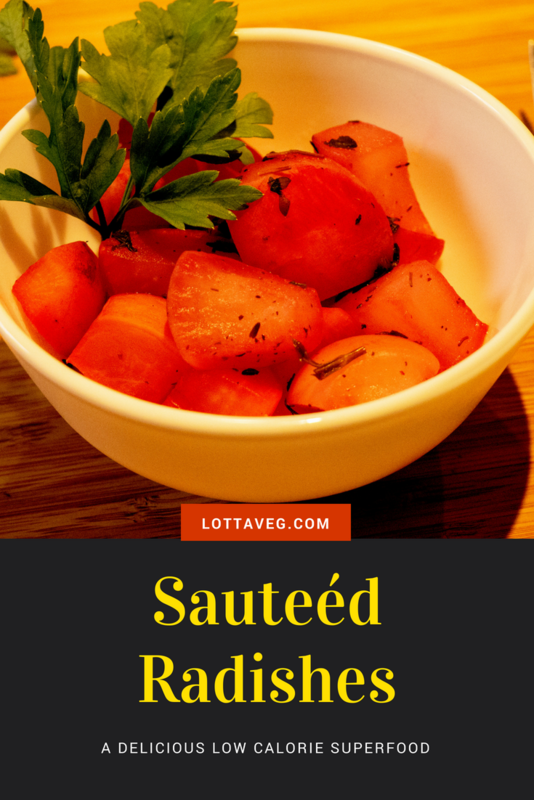 This Sauteéd Radishes recipe pairs well with a Vegan BLT, Red Bean Burger, Black Bean Burger or your favorite summer main dish. 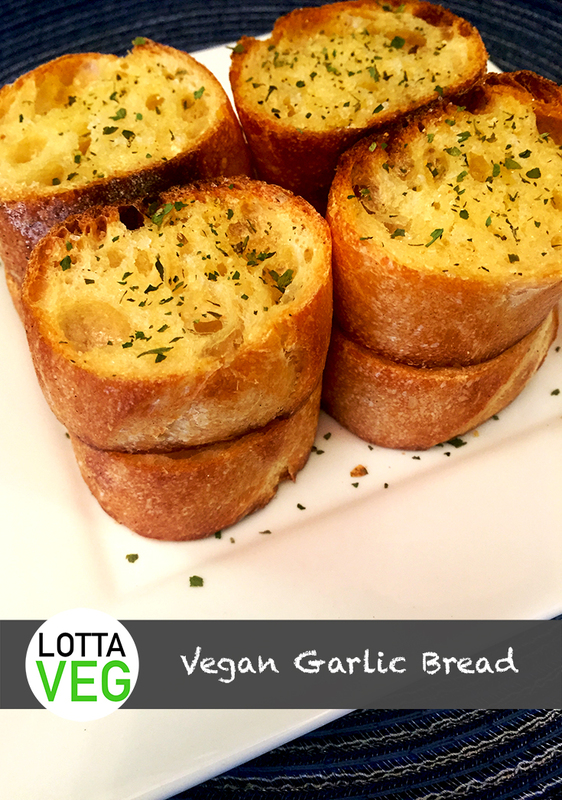 This Vegan Garlic Bread recipe doesn’t get much easier. Slice up a baguette, spread some vegan butter on the slices and sprinkle with a little garlic salt and dried parsley. It’s fast, simple and delicious. If you’re looking for a oil-free option, Dr. John McDougall recommends coating the bread with fat-free Italian salad dressing instead of vegan butter. We haven’t tried it this way, and usually avoid prepackaged salad dressings, but a lot of people swear by it. Here’s a video that shows you how to make it. 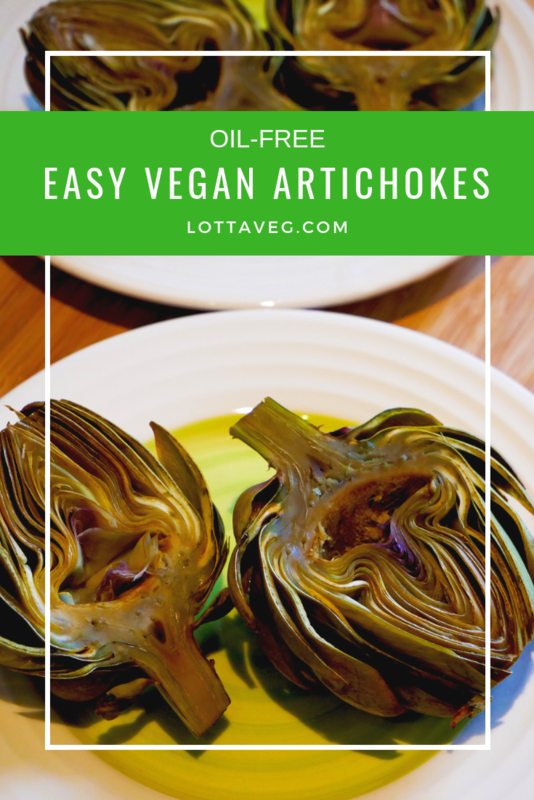 You can also use aquafaba in place of vegan butter for a low-fat whole-food alternative. Aquafaba is the juice from your can of chickpeas. Make some Vegan Hummus as an appetizer and save the juice to baste on your bread. We use this technique for grilled sandwiches and our Oil Free Grilled Plantains, too. For a cheesy flavor, sprinkle with some nutritional yeast before baking. Vegan Garlic Bread goes well with our Vegan Spaghetti Sauce with Spaghetti Squash, Vegan Tomato Cream Sauce Spaghetti with Kale or as a simple appetizer. 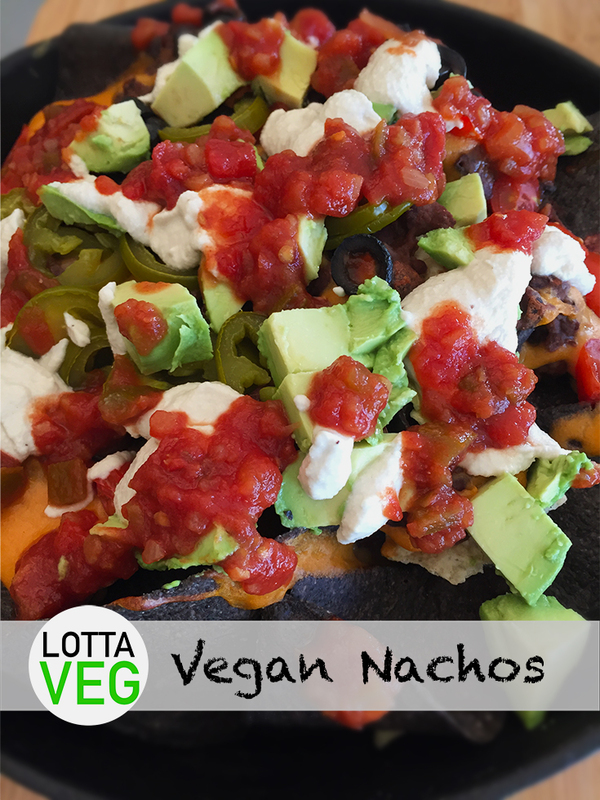 These Vegan Nachos are loaded with goodies. Vegan Refried Beans, Potato Cheese Sauce, Vegan Cashew Sour Cream, jalapeños, black olives, avocado and salsa make this one yummy party dish! Nachos are one of those treats that most people expect to give up when they go vegan, but there’s no need to make such a supreme sacrifice. The potato cheese sauce tastes better than the nasty cheese you find on most non-vegan nachos, and the cashew sour cream is absolutely delicious! We used the toppings that we like the most, but you can be as creative as you want to be. 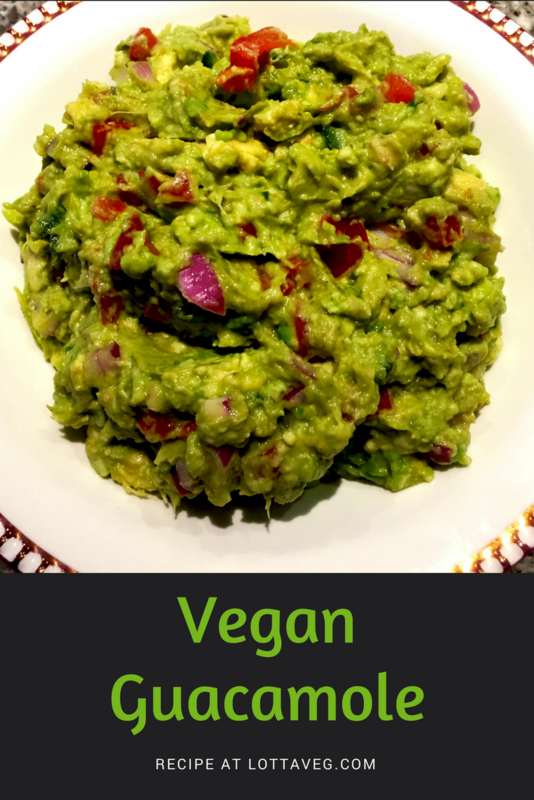 These vegan nachos would be great with some sautéed onions or mushrooms, seasoned tofu, Tex-Mex jackfruit, vegan chorizo or anything else you can think of. We bought some yellow and blue corn chips for this recipe, but you can easily make this with some Corn Tortilla Corn Chips. 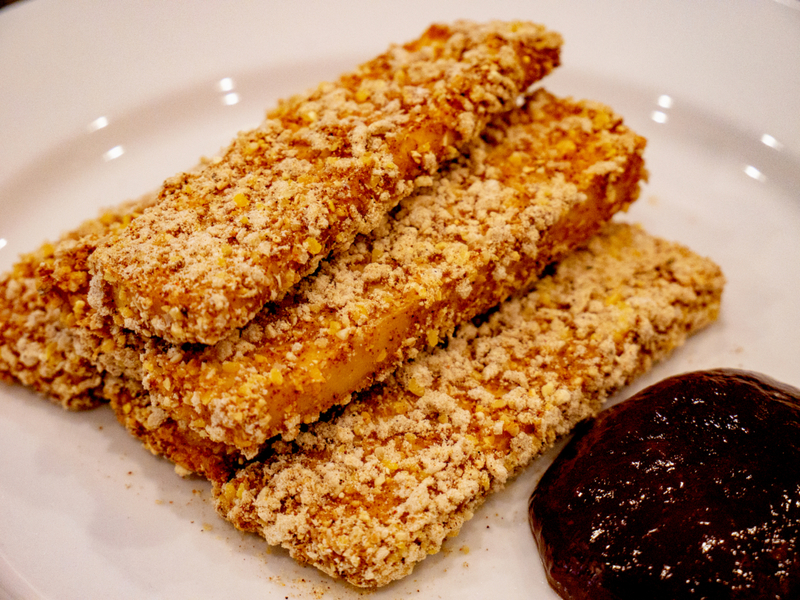 Just promise me you’ll serve these at your next gathering of non-vegan friends so they can see how good veganized food can taste! 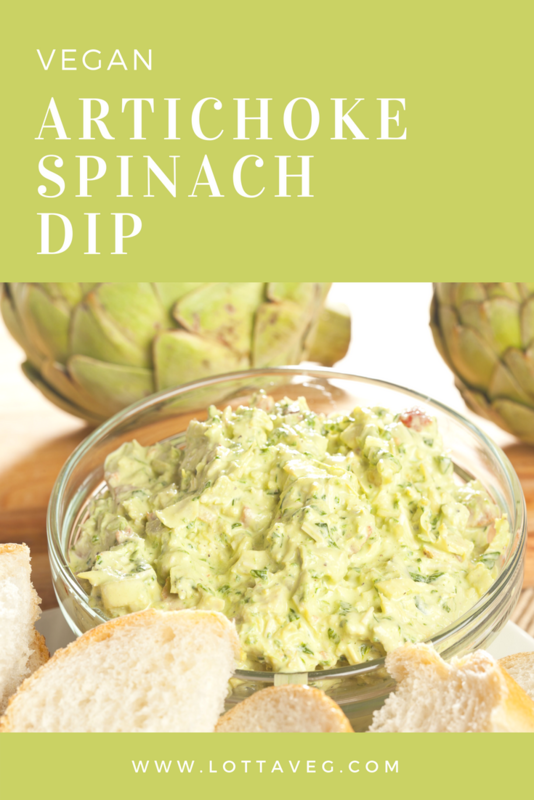 This Vegan Artichoke Spinach Dip is a party favorite and one of my personal favorites. 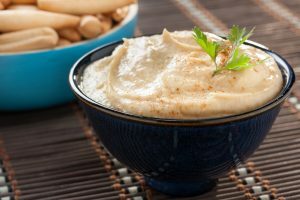 Instead of using sour cream and cream cheese, this recipe uses cashews and lemon juice to create that familiar texture and taste. Before we went vegan, Amelia and I used to order artichoke spinach dip while sitting at the bar. It tasted great, but I never liked the greasiness of it and each bite was accompanied by a little pang of guilt from the spike it gave to my cholesterol. This vegan artichoke spinach dip is guilt free since vegan food doesn’t contain cholesterol. 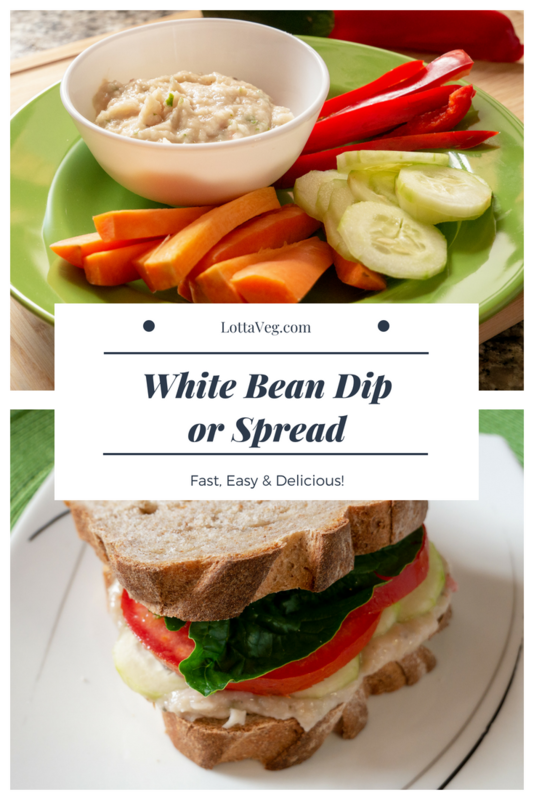 Serve with tortilla chips, pita chips, sliced veggies (carrots, red pepper, cucumber) or a baguette. 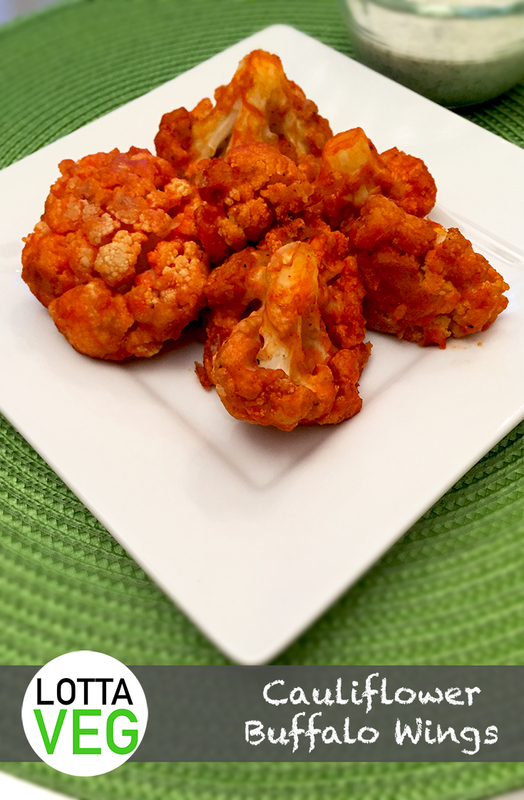 These Vegan Cauliflower Buffalo Wings are simply amazing! 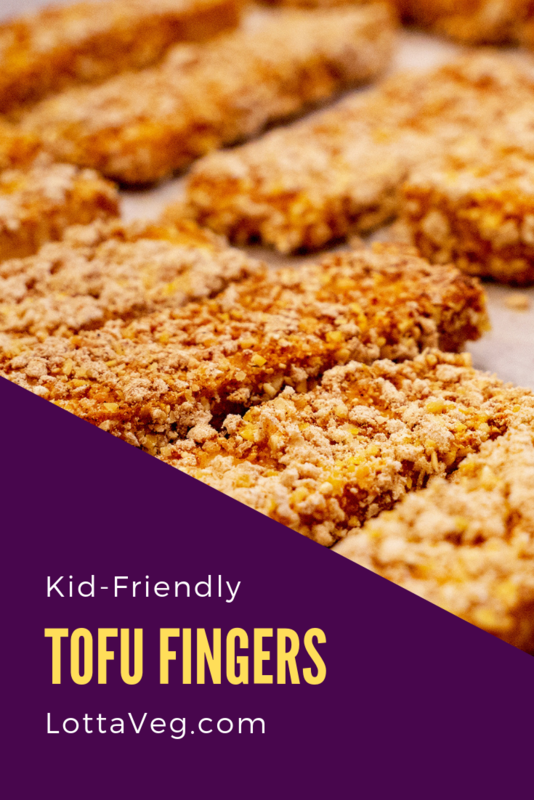 Amelia doesn’t like cauliflower, but she loves these and constantly asks me to make them. The cauliflower absorbs the flavor of the batter and wing sauce, and it has the consistency of chicken so it’s almost like the real thing without bones. The only downside is it takes a bit of time to prepare and one batch doesn’t last too long (because they’re so d**n delicious). We prefer thicker wing sauce that we found at Whole Foods, but Frank’s Red Hot is what most people are used to so you might prefer that. Frank’s is a little thinner so the cauliflower might be a little soggy if you use too much. You can also thicken it up with 1 tsp of cornstarch. The Vegan Ranch Dressing is the perfect dipping sauce for these Vegan Cauliflower Buffalo Wings. Prepare the dressing while the wings are cooking.